Apple has finally announced the next member of the iPhone family, known simply as the iPhone 5s. The device was introduced today at a launch event in Cupertino, California. As well as coming in silver, gold and grey, the iPhone 5s arrives running iOS 7, which brings a new look and new notifications to the platform, as well as features like AirDrop and a new 3D tabbed UI for Safari. Under-the-bonnet, the device uses an all new A7 chip which Apple says is the first time a 64-bit chip has been in a smartphone; the end result is over “twice as fast” as the previous generation, according to Apple. As well as giving the processor a bump in performance, Apple has also introduced a “motion coprocessor” so the device can tell if you’re stationary, walking or driving. If your mind turns to battery life at this point, Apple claims the 5s has up to 250 hours of standby time and 10 hours of LTE browsing. The camera on the device has also been overhauled for the new iteration to include an F2.2 aperture lens and a dual LED flash – one white and one amber for better color balance in the images. It also includes auto-image stabilization. The camera now has slow-motion capability too, thanks to the ability to capture 720p video at 120 frames-per-second (fps). In addition to beefing up the camera capabilities, Apple has also added a biometric finger print sensor (buried inside the ‘home’ button) called TouchID that is 170 microns thin and scans your sub-epidermal skin layers. All of which is to say you can unlock your phone without needing a pass code and can even scan your fingerprint to carry out actions in apps, like authenticating iTunes purchases. Pricing for the device, on a 2 year contract, is set at $199 for the 16GB model, $299 for the 32GB model and $399 for the 64GB option. Pre-orders start from September 13 and the handsets are due to go on sale from September 20 in the US, UK, Australia, China, Canada, France, Germany, Japan and Singapore. 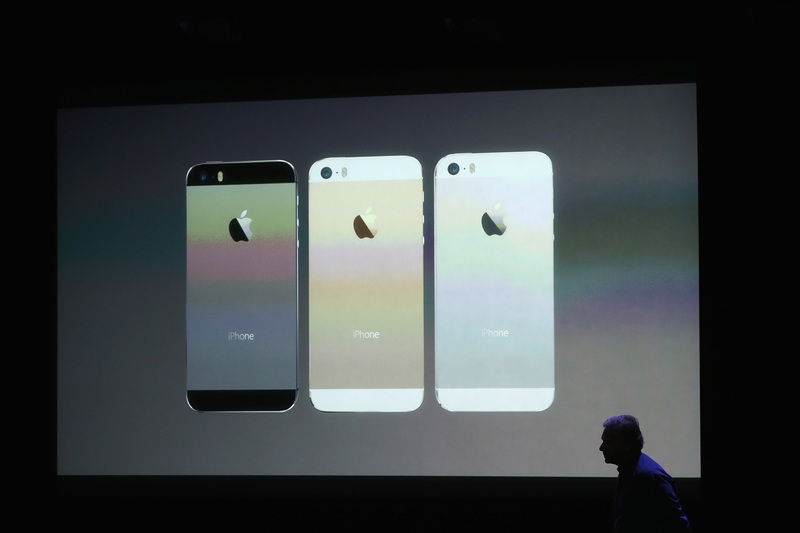 By the end of the year, it should be available in more than 100 countries, Apple said. Apple traditionally releases a more dramatic redesign of the iPhone hardware every other year, and the overall design of the iPhone 5s keeps true to this cadence, with minor tweaks here and there but the same overall look.